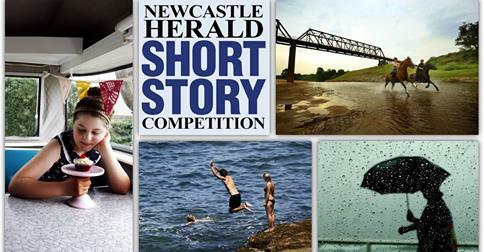 THE Newcastle Herald is inviting writers from across the Hunter to enter its third annual short story competition. The twenty-five shortlisted stories will be published in the Herald from December 26 to January 23. Stories must be inspired by one of the four photographs above. Submissions must be between 800 and 1000 words and participants must be residents of the Hunter Region. A winner and two highly commended entrants will be selected. The winner will be rewarded with a library of 50 new-release books valued at $900, a weekend pass to the 2015 Newcastle Writers Festival in March, as well as a Kobo Touch e-reader and silicon case package valued at $110, courtesy of Domayne Kotara. The two highly commended entrants will each receive a $150 voucher from MacLean’s Booksellers, Hamilton. Read the conditions of the competition and find larger copies of the photos here and submit your entry as an emailed attachment to summerherald@theherald.com.au by 9am on Monday, November 24. This entry was posted in competitions, Short stories, Writing and tagged MacLean's Booksellers, Newcastle Herald, short stories, short story competition, summer stories. Bookmark the permalink. Good luck, Jessie. I’ll be reading the stories avidly, too.